Eco-friendly flooring is a topic we're hearing more and more often at Kermans carpet store in Indianapolis. Particularly when it comes to carpet which is most often made from nylon fibers which in turn are made from petroleum. Read on to learn more about the environmentally friendly floor options you have for your home. We are proud to carry Karastan's SmartStrand carpet in our carpet store in Indianapolis. Karastan believes we all have a part in making the right choices for our environment. That’s why they worked to discover a way to create carpet from crops. SmartStrand® with DuPont™ Sorona® renewably sourced polymer is made in part with naturally occurring sugars from readily available and renewable crops. SmartStrand® carpets exclusively offer fiber made with Bio-PDO™, the key Sorona® ingredient, which is produced from corn sugar. In fact, 37 percent of Sorona® is made from renewable resources instead of the more limited petroleum-based ingredients used in most other carpets. SmartStrand® Carpet isn't just eco-friendly, it's also durable, soft, stain resistant and beautiful. Learn more about Karastan SmartStrand®. Are there environmentally friendly wood options? Some people shy away from solid hardwood floors because of concerns about the environment. Today's hardwood floors go far beyond the traditional maple or pine wood and into sustainable woods like bamboo or cork. Bamboo floors are made from bamboo grass that regenerates faster than wood making it an excellent green-friendly product. 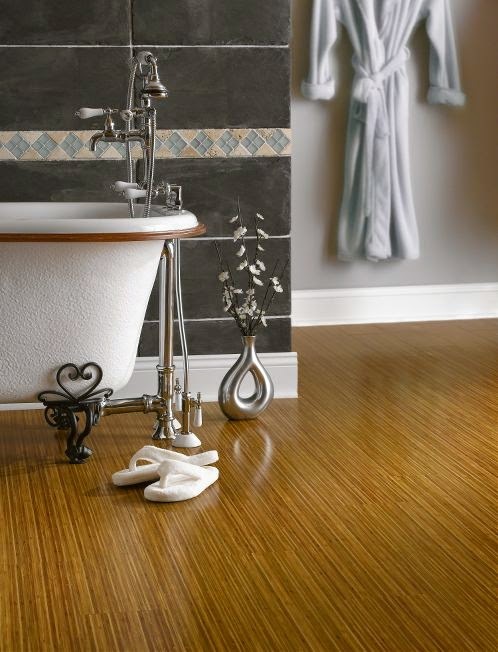 Bamboo floors are more affordable than solid hardwood and yet offer the same look and feel. Learn more about bamboo wood floors. Cork floors are made from harvested bark so no trees are cut down at all. It is a completely renewable resource; a recycled product and with water-based finishes and adhesives creates a long lasting, comfortable floor. It's also popping up in more and more homes. Learn more about cork wood floors. When you are concerned about making a flooring choice that is good for you and our environment, look no further than Kermans carpet and hardwood store in Indianapolis. We carry well-known manufacturers at prices to fit every budget. Our expert consultants offer unparalleled customer service and recommend just the right flooring selections depending on your budget, type of foot traffic, and living space. We call it the Kermans Advantage and we'd love to share it with you. Stop by our Indianapolis flooring store and ask to see our wide selection of carpet and hardwood flooring.